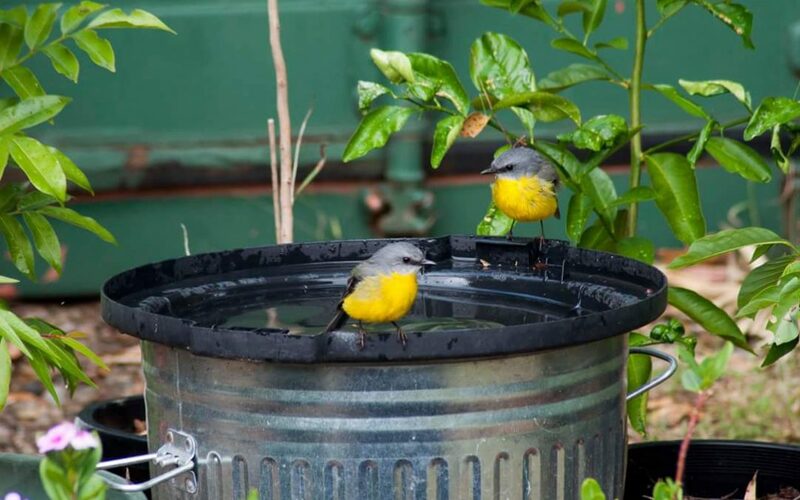 We noticed the small birds in our backyard were searching for water, so we created a birdbath for them simply by turning an old plastic garbage bin lid upside down and placing it on a galvanized bin for support. We also found that it was very important to surround the birdbath with small potted plants for the birds to perch on in between dives and while waiting for other birds to vacate the bath. Every morning and afternoon a variety of small birds including Eastern Yellow Robins (pictured above), Golden Whistlers, Leaden Fly Catchers, Spotted Pardalotes, Rufous Whistlers, Lewin’s honeyeaters and many more we are still trying to identify, visit for a dip. 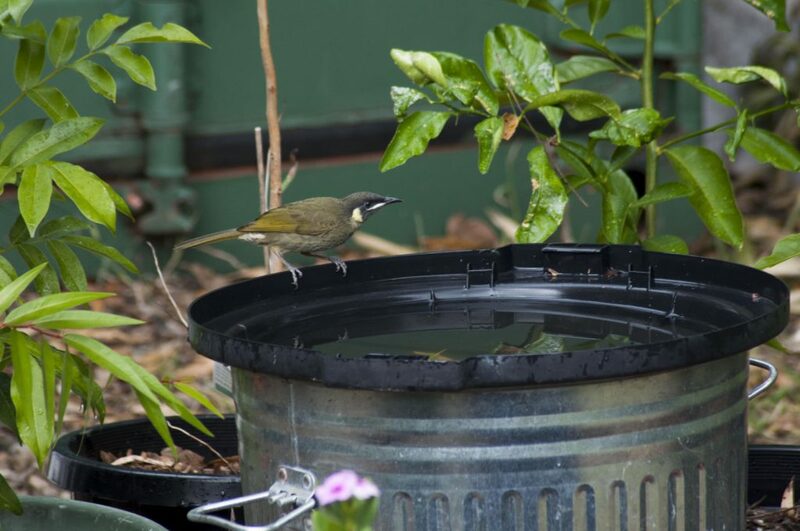 Simply add a water habitat or birdbath if you want to encourage birds to your backyard. The birds will love it and hopefully you will enjoy their antics as much as we do.